Collegiate marks for Wisconsin HS alums in the NCAA’s early outdoor meets are in the next two posts. Good to see Andrea Ostenso doing well…she was injured most of her high school career and I wasn’t sure how well she would hold up to the demands of D-1 running. 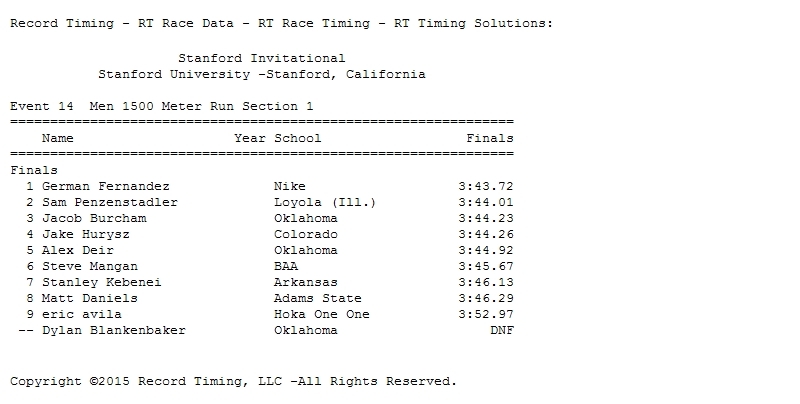 His time was slower than the other “slower” heats at Stanford but Penzenstadler made moves late in the race that pushed him past a bunch of big name milers and nearly took down the legendary German Fernandez.